Who doesn't love BIRYANI? Me, as I am very particular about the taste and do not like every biryani which is served. 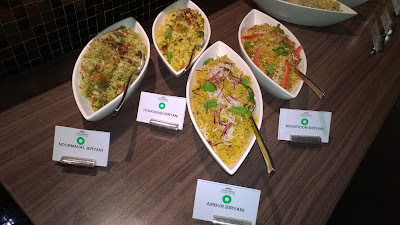 So I was very apprehensive to attend the sneak peak of the Biryani and Kebab festival at Howard Johnson, Bangalore. Firstly, Howard Johnson is located in Hebbal and is a business hotel. The festival starts from 12th August and ends on 23rd August 2015. Next were non veg kebab's. Starting with Galauti Kebab, kebabs from Awadhi kitchen made from fine mined lamb marinated and smoked with aromatic spices and grilled. This was perfect. 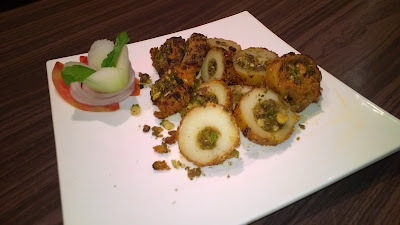 Next was, Labe-e- Mahi Muskan, succulent pieces of fish marinated in curd and spices cooked in tandoor. By far, one of the most tastiest fish I have ever had. Murgh Gillafi seek, chicken sheekh kebab marinated with cheese, Cashewnut and coated with bell papers cooked in Tandoor was very tasty too. Maas Ke Shole, scrumptious pieces of baby lamb marinated with Indian herbs and spices, cooked to perfection. 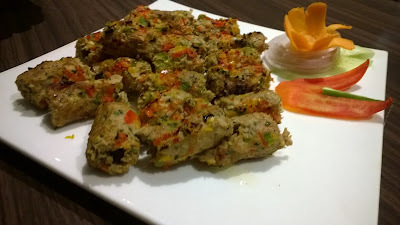 The non veg kebab's were a lot better, I am being biased as I enjoy non veg more ;) The non veg kebab's are priced between Rs.275-300 plus taxes. Apologies for not clicking pics for the kebab's as they were very tasty and I was busy relishing the taste. I really enjoyed the kebab's a lot so my expectations from the biryani were much higher. 4 veg and 4 non veg biryani were served, out of the 5 biryani's each available for the festival. I only tried the non veg biryani as I am not fond of veg biryani at all. The non-veg biryani ranges from Rs.325-350 plus taxes. Lamhen Biryani, delectable lamb dumplings and basmati rice combination cooked with aromatic Indian spices was served. Minced lamb was perfect for my taste. Thallesary Fish Biryani, fresh water fish cooked on slow fire with basmati rice along with delicate spices. I did not like this biryani, may be served a little hot and with some salan, it should be better. Awadhi Murgh Biryani, chicken biryani cooked on 'dum' with long grain basmati rice and hand picked spices. This was my favorite out of all the biryani's I had. Kolkotta Biryani, perfect combination of juicy lamb, potato and rice with Bengali masala. 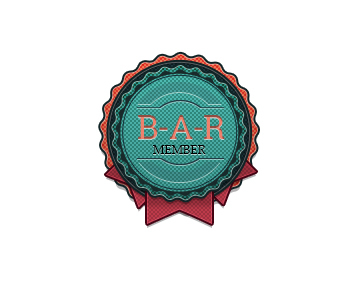 This gave me a homely feel as I like potato in my biryani. Andhra Murgh Biryani, a spicy biryani made with chicken and khada masala. This wasn't served during the sneak peak. The veg biryani which are available for festival are Subz Noor Mahal Biryani, Ambur Biryani, Hydrabadi Subz Biryani, Dolma Biryani and Chaman Biryani. 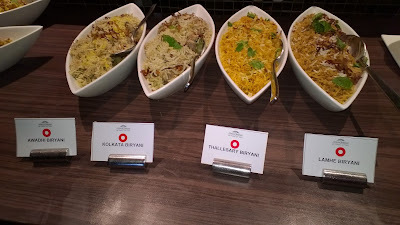 The veg biryani ranges from Rs.310-325 plus taxes. Each biryani would be served with soup, salad and dessert of the day. A watermelon mocktail and Virgin Sangria was enjoyed during the meal. 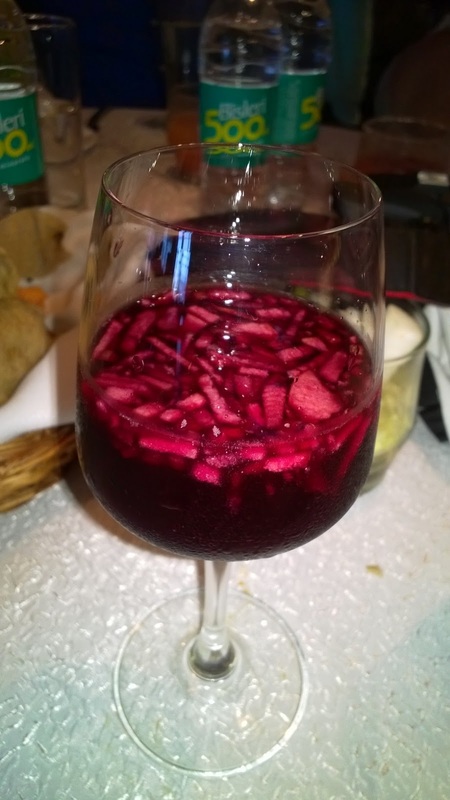 Virgin Sangria was a perfect blend of juices. 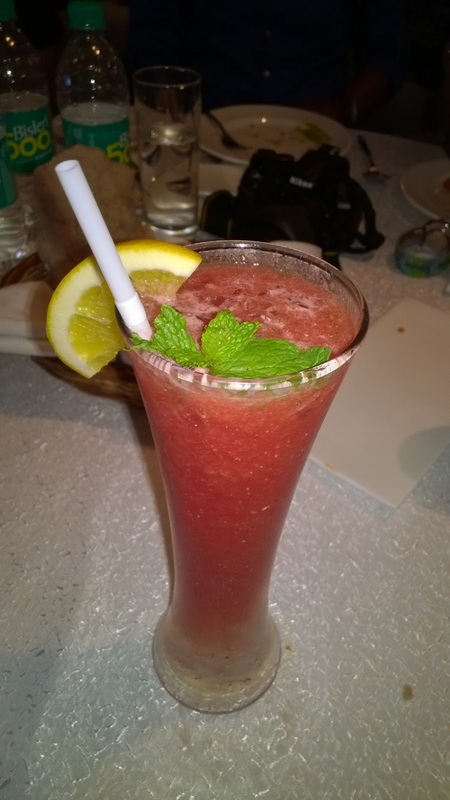 One of the best places to enjoy this mocktail in Bangalore. 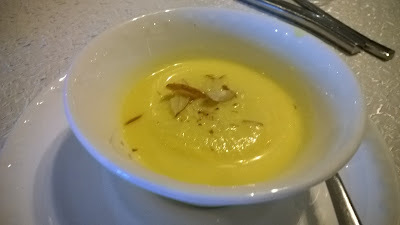 And for dessert, I enjoyed every bite of Rasmalai as it is my favorite and was made very well.